Product #5702 | SKU FAF20202 | 0.0 (no ratings yet) Thanks for your rating! The centre of the image in the cameras viewfinder is maginified x2. 2x Magnification of image area's centre is obtained with the DG-2 Magnifier, which flips up to quickly view the entire image area when needed. 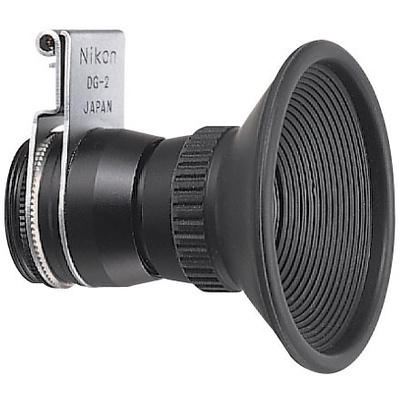 It has a rubber eyecup and dioptric correction ranging from -5 to +1. Box Dimensions (LxWxH) 2.0 x 1.75 x 1.75"